Please contact CRC Volunteer Coordinator Danielle Stehlik at dms@thecharles.org if you can join us. We’ll be weeding & mulching the garden beds, edging, weeding by the powder magazine, and picking up trash. Wear old clothes and sturdy shoes and meet at the crescent, near the pedestrian footbridge (not in front of the Riverside Boat Club). The CRC will provide work gloves, tools and assignments. 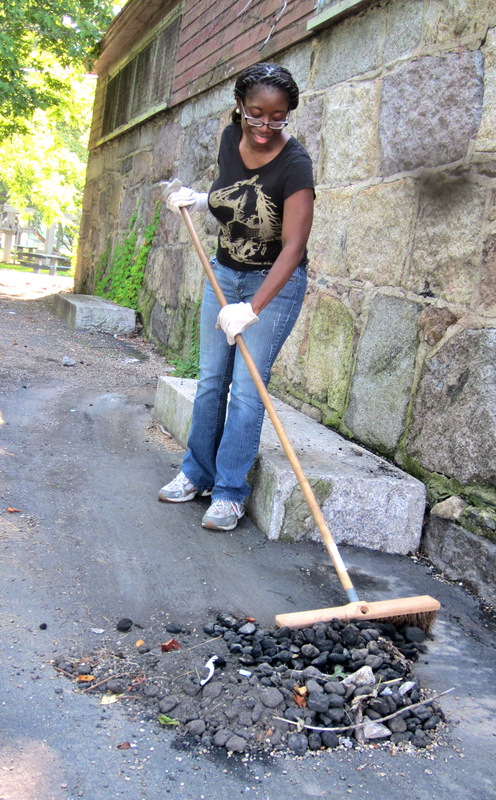 Volunteer hard at work at August cleanup!